Larry Joe Minaldi, age 82, passed away peacefully on Wednesday, August 8, 2018, at his home in Nederland. Larry was born on June 26, 1936, in Nederland, Texas to Joe and Betsy Minaldi. He was a 1955 graduate from Nederland High School. He then went on to play professional baseball in Clinton, Iowa where he met Carleen Gruntorad who he married in 1957. 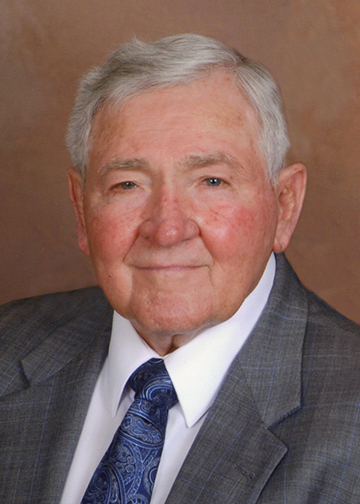 Larry loved Nederland, sports, hunting, fishing, and supporting his grandchildren in all their endeavors. Larry is preceded in death by his parents Joe and Betsy Minaldi, his sister Roxie Madding, and his brother Randy Minaldi. He is survived by his honey and wife of 60 years, Carleen Minaldi; brothers David Minaldi and his wife Carolyn of Plano; Bobby Minaldi of Nederland; sons Gary Minaldi and his wife Vicky of Fannett; Chris Minaldi and his wife Leslie of Nederland; Corey Minaldi and his wife Ricky Sue of Nederland; grandchildren Garrett and his wife Hope Minaldi; Jake Minaldi; Chandler Minaldi; Josh Minaldi; Clayton Bailey; Raegan Minaldi; Jordan Minaldi; and Raelynn Bobbitt; great-grandchildren Grady and Anderson Minaldi. A gathering of Mr. Minaldi’s family and friends will be from 5:00 p.m. until 8:00 p.m., with a Rosary recited at 7:00 p.m., Friday, August 10, 2018, at St. Charles Borromeo Catholic Church, 211 Hardy Avenue, Nederland. A Mass of Christian Burial will be celebrated at 10:00 a.m., Saturday, August 11, 2018, at St. Charles Borromeo Catholic Church, Nederland, with his interment following at Oak Bluff Memorial Park, Port Neches. Memorial contributions may be made in Mr. Minaldi’s memory to St. Jude Children’s Research Hospital, 501 St. Jude Place Memphis, Tennessee 38105, or Hospitality Center, 3959 Gulfway Drive Port Arthur, Texas 77642. 5:00 p.m. until 8:00 p.m.
My sincere condolences to the family at this difficult time. May you all seek God for comfort, peace, strength and support (2 Cor 1:3). Carleen, so sorry to learn a bout Larry. He and James F, George H. and many other friends, bring back very good memories. May His Soul, Rest in Peace. Prayers to your family. We live in your neighborhood and would see and wave to Mr. Minaldi everyday most times more than once a day. My kids and I miss him sitting in his chair waving at us as we pass by. He was a sweet, calming part of our busy days. Sincerest prayers and condolences for the Minaldi Family. He was a good man and I am sorry to hear of his passing. Eternal rest grant unto him, O Lord. Nygvy We have years of good memories of such a good man . God BLess Carleen and her family. One of the best bulldogs to ever put on a uniform. Football and baseball excellence. Larry, you were a great player and mentor to a lot of us who followed you. You will be missed. So many wonderful memories of a truly admirable person. We will greatly miss him. Our thoughts and prayers are with you always. Rest In Peace coach Minaldi. Many fond memories from years past. You took the time to teach and mentor many of us in the game you loved. My deepest sympathies to Corey and Gary and the entire Minaldi family. May his memory be eternal. Larry was a good man and neighbor. God bless Carleen and her family. Rest in peace coach. You were one of the best men I ever knew. You were part of who I am now. I remember you quite often in my life. Your family n yourself are the best. You will be missed coach by many. Prayers for your family sir proud I knew you sir. So very sorry for your loss. Our thoughts and prayers are with you and your family. My God give you comfort and strength during this difficult, emotional time. So very sorry very your loss. Our thoughts and prayers are with you and your family. My God give you comfort and strength during this difficult, emotional time. Mr. Minaldi was a very special man and has a very special place in our hearts. We have many years of memories hanging out with him and the rest of the family next door and will cherish those forever.